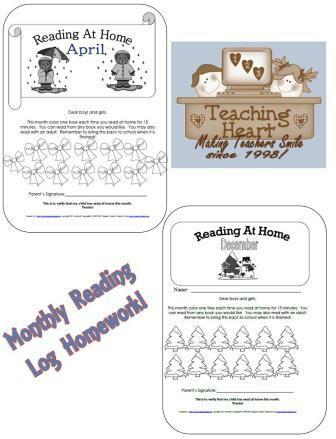 Make reading homework easy to remember with these monthly logs. These are simple reading logs you can send home with your students each month. They color in a picture for each 15 minutes theyread (you could change the time on the sheets in word format). Sheets are turned in monthly. I always give a small prize (sticker - free homework pass) when a student turned in a finished sheet. Each log is in PDF and Word (you can modify the sheets in word). Months covered are Sept. to June.